What clients like best about us is that we work closely with them to customize an approach to sell their property for fair market value in a timely manner. 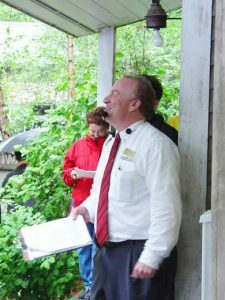 Tracing our roots to 1932 in Worcester, Massachusetts, Berman Property Solutions (formerly Berman Auctioneers & Appraisers) is a trusted fixture in the New England real estate and personal property industries. We leverage 85 years of experience and apply the leading methods and technology of today to deliver exceptional results for our clients. As a result, we’ve helped many achieve their goals through the timely sale of real estate, personal property and businesses. Berman Auctioneers & Appraisers, a sister company of Berman Property Solutions, is also designated by the Commonwealth of Massachusetts to provide auction services for surplus public property – one of only six auction firms in the state to receive this designation.